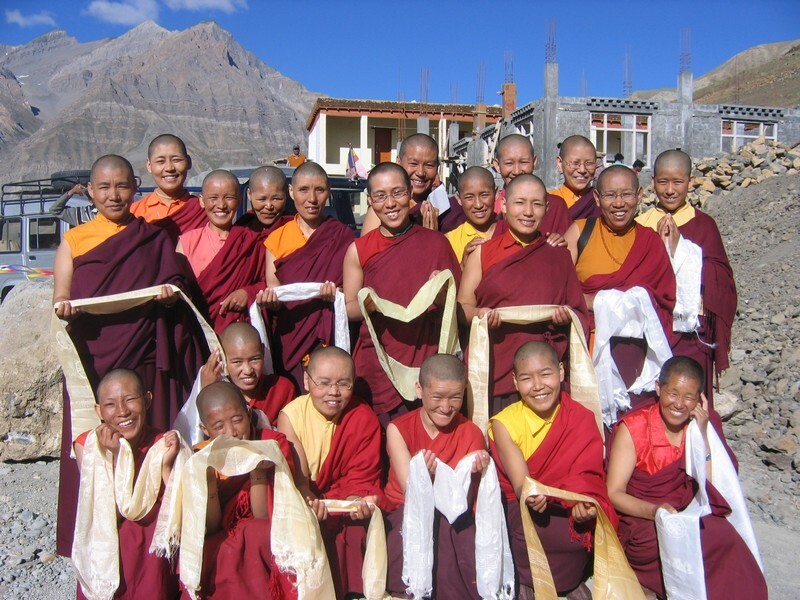 At the moment, there are 33 nuns studying at Dechen Choling, Pin Valley. This valley is especially cold, but has a long and rich Buddhist history. The majority of the nuns are teenagers or from 20 to 30 years old. All the nuns can speak a little English, but their vocabulary is very limited. They are very keen to learn Dharma and love to do retreats in the winter. With diligence and dedication, these nuns are struggling to overcome their educational and social disadvantages. With increased confidence and training, they are becoming community leaders, making valuable contributions toward cultural preservation, environmental protection, health, and community development. Undaunted by unimaginable hardships and disappointments, the nuns bravely persevere – always with a smile. The goal of their endeavors is to serve others. To do so, it is important for women to get both modern and traditional education. Over the years, the local villages have come to greatly appreciate their sincerity and hard work. The biggest obstacle the nuns face is material support. Please help these women fulfill their dreams!